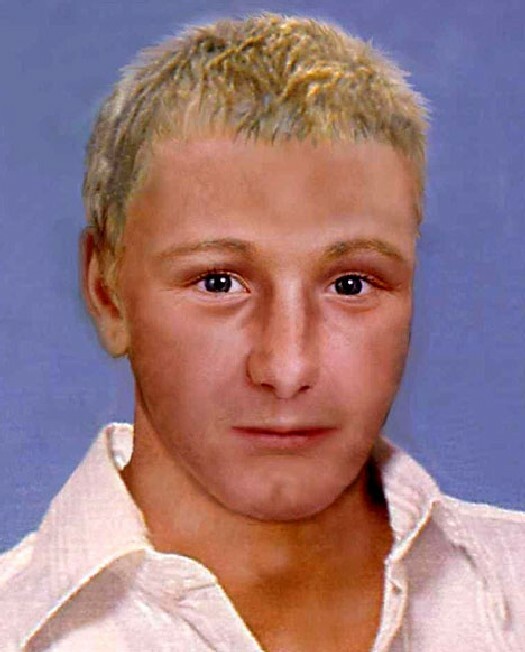 The above image is a computer generated prediction as to how Ben Needham would look today which happens to be his 21st birthday. Mrs Grist, an office worker from Sheffield in the West Riding of Yorkshire, said the authorities had quickly lost interest in her case. Mrs Grist has always believed he was snatched and is alive. British Gazette comment: This is truly a heart wrenching case. Clearly there are two possibilities: Mr. Needham is dead. Mr. Needham is alive. In the case of the former all that can now be done is to ask the Greek authorities on Kos to seek to match any human remains found in suspicious circumstances that appear to be those of a toddler to DNA samples that Mrs. Grist would have to supply. In the case of the latter however there is something that you dear reader can do. That is this: Circulate this image either by downloading a copy onto your PC or by putting in a hypertext link to this page (making sure that you have the full URL and path and not just the British Gazette homepage) and sending it out to as many people as possible. This is because if Mr Needham was snatched by or sold to a couple desperate to adopt a fair haired, fair skinned child he will be going about his life unaware of his true identity. He has a right to know who he is. Mrs Grist has a right to know where her son is. It is the nature of the internet that it can help in this regard. If you have seen a young man who looks like the above image contact the authorities in your area or country. If you are bold you might even consider approaching the young man in question, and pointing out the similarity to him. Thanks to DNA and the science applied to it any young man who appears to look very similar to the image can be quickly and easily be identified. This young man is now an adult as 21 years is either over or is the age of majority wherever he may be living. As to where this might be, the answer is of course anywhere. If snatched by or for a desperate couple he is likely to be living in north or western Europe, Australia, New Zealand or Canada or the U.S.A.
Of course some readers may be of the opinion that it Mr Needham has had a happy family life with parents he loves and in no way suspects anything untoward then why destroy his happiness? They may well be of the opinion that notwithstanding the great wrong Mr. Needham’s abductors did, if they have shown love and kindness to their victim and may even be quite “well to do” and therefore able to provide well for Mr Needham why should they destroy this? Answer: Abduction of a child is a very serious crime. It cannot ever be right that such a crime should be allowed to remain undiscovered and the perpetrators go unpunished. If the abductors have indeed showered Mr Needham with love and have given him a happy and secure upbringing then the courts can take that into consideration when passing sentence. There are two principal victims of this crime. Mr. Needham and his mother, Mrs. Grist. There are of course others such as Mr Needham’s father and grandparents.